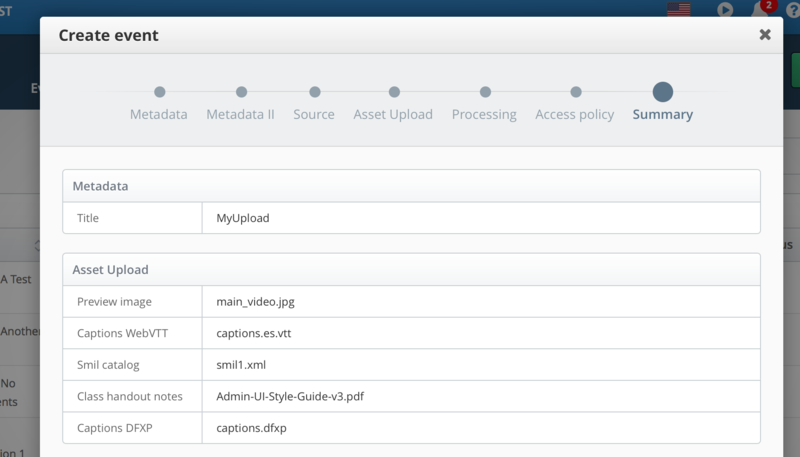 This guide will help you customize manual upload asset options for the Admin UI. Opencast event media packages reference several different types of assets. These may include video file tracks, metadata catalogs, image files and class handout notes. Some assets are automatically created through workflow events. Others need to be manually attached to the mediapackage. An example of automatically created assets are navigation slides. An example of a manually attached assets are handout notes. 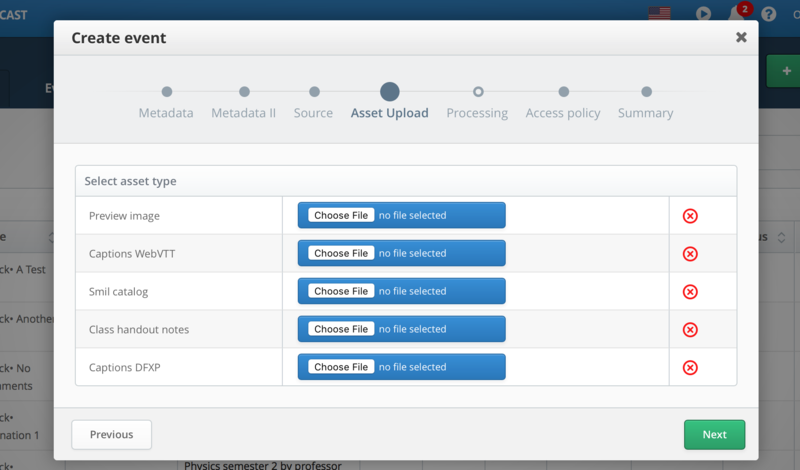 This guide describes how to customize the Admin UI to support new asset upload options. Two source types are enabled by default for use in the Admin UI. Asset flavor and sub-flavor are used by default Opencast workflows. When you add new asset types, you may need to adjust workflows to process the new asset flavor. download-source-flavors comma separated list A convenience variable that lists manually uploaded asset flavors. Catalogs and attachments can be added to new and existing events. Source tracks are uploaded as new events. Some predefined catalog and attachment examples are commented out in the properties file. You can uncomment any of these to make them upload options in the Admin UI. 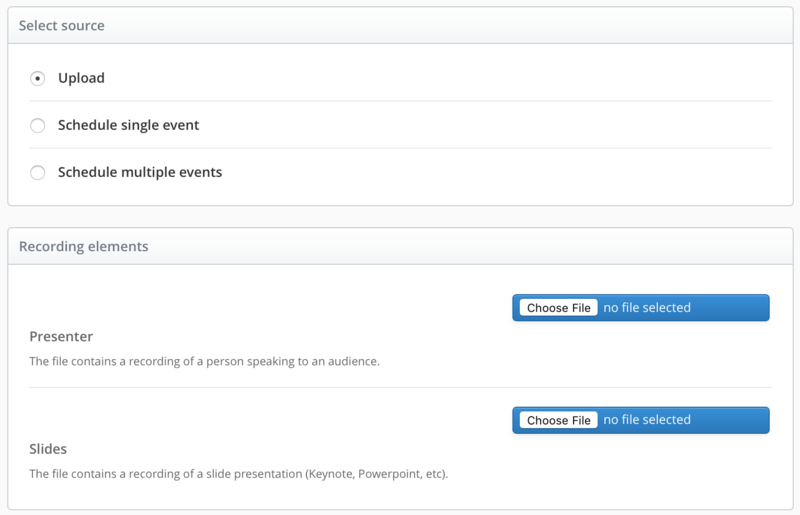 The workflow publish-uploaded-assets will automatically distribute, publish, and archive uploaded assets on existing events. # Attachments and catalogs upload options are for new and existing events. # type and flavor in the mediapackage. # The video source track upload options are only for new events. # Unlike the other assets, multiple source tracks can be uploaded for a single flavor. 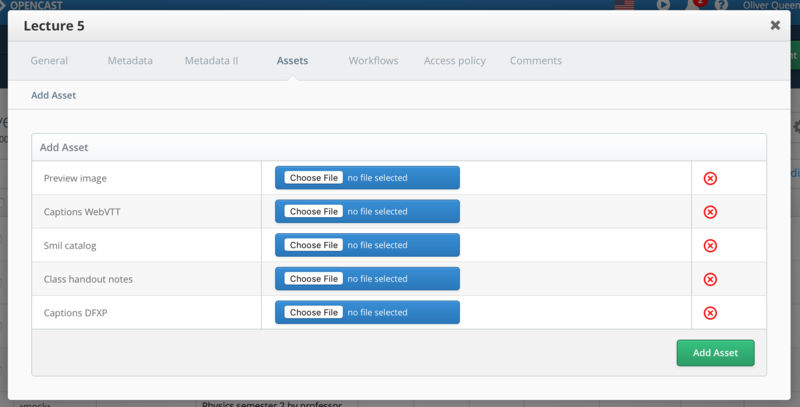 After enabling an upload option, a new navigation area becomes visible in the "Create event", called "Asset Upload". Assets can be uploaded to new events. The "Asset Upload" navigation disapears for scheduled events. Assets cannot be uploaded for scheduled events until after the scheduled event is processed. The following steps will assist you in creating a new asset upload option. As mentioned before, only catalog and attachments can be added to existing events. New source types can be added to new events. The following steps describe how to change the properties configuration. attachment can be any type of file. For example jpeg, pdf, text, etc. Tracks are usually associated with workflow processing. If you need special processing with your custom track flavors, update or create workflows to work with your new track flavor. Attachments and Catalogs, such as smil files, can also be used for processing. If you only need to publish manually uploaded assets with a unique flavor, this is already built into the default workflows. Copy an existing row as a template for your new asset. Retain the property key prefix EVENTS.EVENTS.NEW.SOURCE. or EVENTS.EVENTS.NEW.UPLOAD_ASSET.OPTION. Your unique asset identifier will follow the last dot after the prefix, in all capital alphabetical characters. Underbars are allowed. CONFIGURATION values are in JSON object format. The option property key is internationalized for display in the Admin UI. Add a translation for the option property when adding new option, otherwise the Admin UI will display the raw key. Now you are ready to test and deploy.